Once Upon a Twilight! 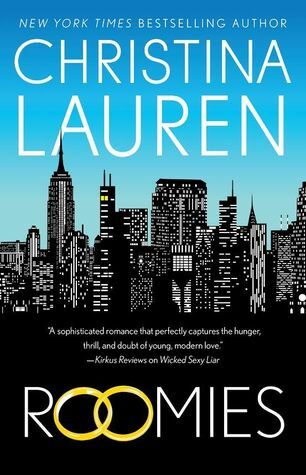 : Christina Lauren's book ROOMIES Will Be Adapted for the Big Screen! Christina Lauren's book ROOMIES Will Be Adapted for the Big Screen! Fans of Christina Lauren's books, will be happy to hear that ROOMIES is to be adapted. Please read below the official announcement on the film adaptation of ROOMIES. Dewan currently serves as host and mentor of NBC’s series “World of Dance” and co-lead of Fox’s musical drama pilot “Mixtape.” She co-stars in the upcoming ensemble film “Berlin, I Love You” and served as an exec producer on the documentary “Earth Made of Glass.” She executive produces “Step Up: High Water” for Youtube Red. Fickman is represented by WME and Management 360. Dewan is repped by UTA, Management 360 and Bloom Hergott Diemer Rosenthal Laviolette Feldman Schenkman & Goodman. The authors are repped by Brandy Rivers at Industry Entertainment for film rights, Holly Root at Root Literary for literary.